When the time came for me to review this title, I was not sure what I would say that could adequately justify my feelings towards this book. Anyway, let me begin by saying that the story did not bowl me over. When I chose to read this book, I had high expectations, which was based on the cover and the blurb. 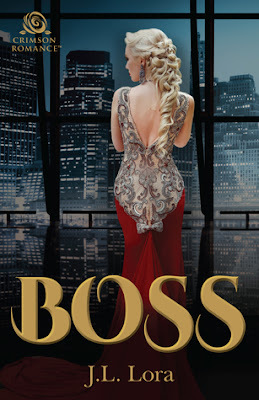 Intrigued by the concept of a female crime boss I could not wait to peel away the layers of what promised to be an exciting and riveting read. Unfortunately, however, the story did not deliver as expected. Not that I did not like it, but I did not love it. The story began with Carissa at a nightclub with her friends. She was there to forget the pain, if even for one night, associated with the loss of her mother. While there, she met the mysterious Alec McLean. This meeting would pave the way for an alliance, which would prove a force to reckon with. The story began on a high note, which increased my expectations for an exciting read. However, things took a turn when the story fast-forwarded two years later leaving me at a loss about what transpired between the night Carissa met Alec and her current situation. This fast-forwarding of time took place on more than one occasion. This is never a problem for me, however when I am left wondering what transpired during those missing moments then I have an issue. It appeared as if chunks of the story was missing. Despite this, the author held my attention, and I kept reading, as I was curious to see how the events would unfold. I was expecting lots of action, but the story did not deliver in that area. There was action, but not as much as one would expect from a mafia/revenge romance. Things heated up at around the eighty percent mark. At that moment, I anxiously anticipated the outcome. Regarding the characters, it pains me to admit this, but I was not feeling them. They did nothing for me. Honestly, it did not matter to me if they triumphed or failed. (You probably wondering how is it I felt that way, but still wanted to know the outcome. My curiosity to know the outcome of the story did not lie in the characters but in the manner of how the events were unfolding.) They were both dominant, which made for some interesting interactions. I did not like how Alec was quick to believe the worst of Carissa after all they had been through together. I guess it is safe to say when you are involved in criminal activities you are likely to believe everyone is out to get you. I figured out from the outset who could not be trusted in the scheme of things but having the story narrated also from the villain’s point of view would have made things more interesting. The ending was ok mostly, but it left me with questions, which I am hoping will be answered in book two. Boss is an interesting story. If you enjoy mafia/revenge romance, then you may enjoy this story. Although I had issues, I still enjoyed the book. I have started reading book two, as I would love to get the answers to the many questions I have.